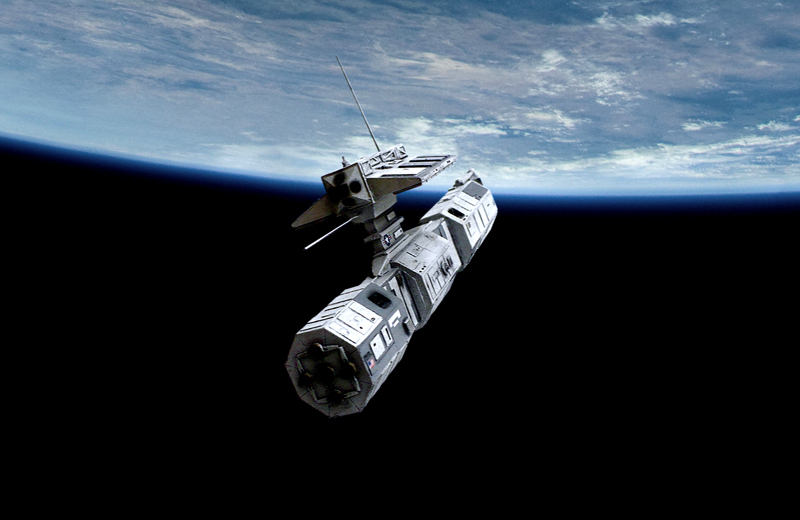 After reading Kim Stanley Robinson's Blue Mars, I've been considering the role of orbiting space stations in warfare. It seems like whoever controls space has a good chance of controlling the planet below, much like how air superiority plays a large role in modern warfare. What I'm wondering, though, is if you want to construct an absolutely devastating orbital war machine, what weapons would you put on it? For instance, traditional bullets would be very ineffective, and things like missiles would probably be just as effective if fired from the ground. Also, due to the difficulty of overcoming the Earth's gravity well, resupplying a space station with extra ammunition would be costly. So my question is, what's the best weapon to use on an orbiting space station to cost-effectively and effectively engage targets on the ground? Top marks go to the cheapest, easiest to aim/control, and deadliest weapon. Assume modern or near-future technology (should be backed up by real science). Like any other weapons system, the real answer is what is the target? I certainly am not going to "bring a knife to a gunfight", but there are plenty of places where a knife would be the better weapon. Fixed ground based targets like airfields, seaports and nuclear missile silos is a fairly easy target for Kinetic orbital bombardment systems. First described by Jerry Pournelle (who apparently studies the system as an engineer for Boeing) as Project THOR, these are long rods of a dense metal, with small tabs to provide some terminal control. The project has undergone many different iterations, most recently being revived as "Rods from God" (which is a silly name). If I remember correctly, the system Pournell wrote about used a satellite to deploy a bundle of rods, each about the size and shape of a broom handle. When deorbiting, they moved at @ Mach 25 (which interestingly enough is also the velocity of the metal liner inside a HEAT round as the explosive charge inverts it). 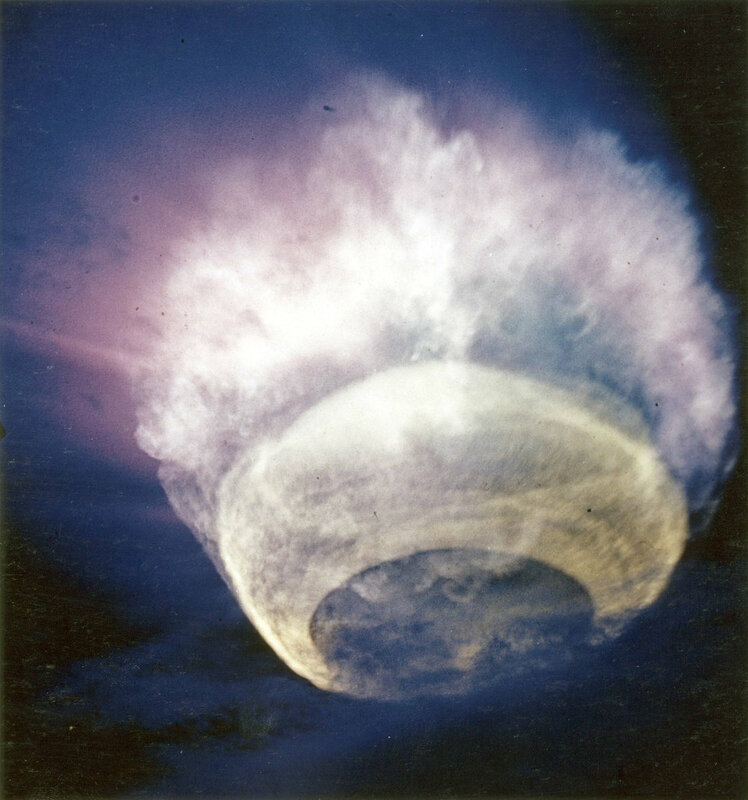 With a kinetic energy of @ 3kg of TNT per Kg of weapon, the round could cause severe damage to most systems. More advanced versions were supposed to have sensors hidden in the nose (protected during re entry by a disposable ablative cap) and steer themselves towards ships or tanks, thus taking out moving targets. When you consider a HEAT round accelerating a metal liner weighing a few ounces to Mach 25 can severely damage or destroy a tank, then several kilograms of metal moving at that speed will punch through most normal materials. For very hard targets, the rods would come in larger sizes. Since the velocity of the round is fixed by orbital mechanics, more mass needs to be added for greater effect. Deep bunkers like the Fordow Fuel Enrichment Plant in Iran would receive strikes from rods roughly the size of telephone poles. Now physical items like tanks or nuclear missile silos are a very cold war sort of target, and attacking modern 4GW targets like protesting students (who are sending a PSYOPS message to the world via social media) with kinetic energy penetrators from space is likely not going to be cost effective, or have the desired effect on the ground either. 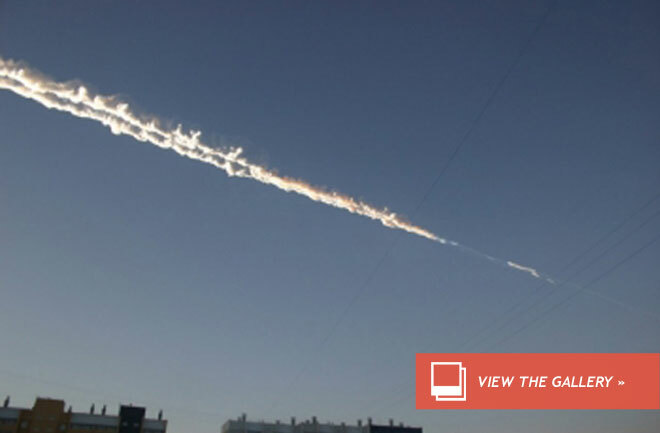 Space weaponry can assist in this kind of war by targeting communications and electronics. The simplest thing to do would be to use an ASAT to disable communications satellites over the target, disrupting many forms of media and communications, but there are plenty of alternative channels, so attacking satellites is unlikely to really shut down that sort of enemy. 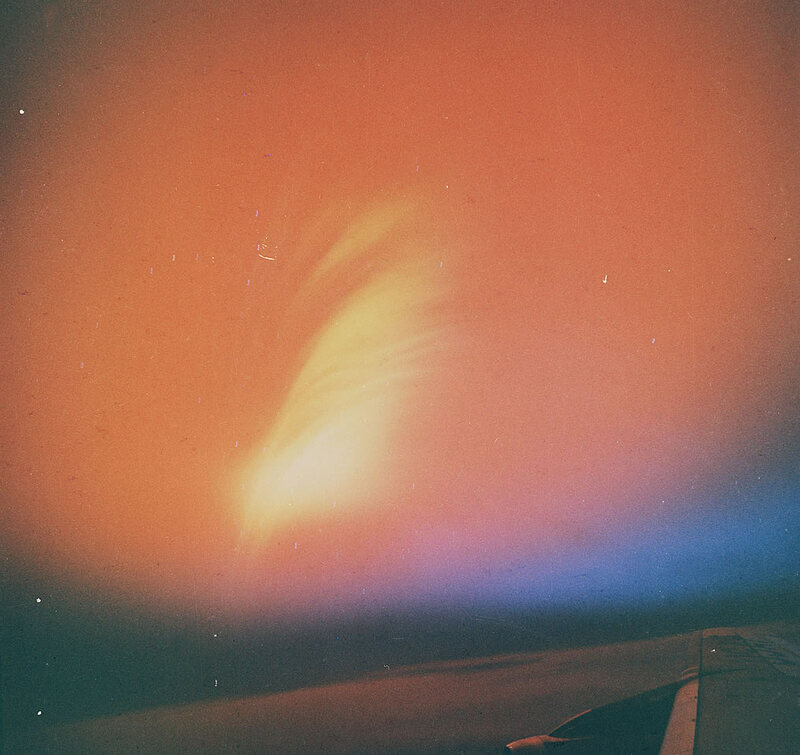 A large explosion in near space like Starfish Prime would knock out virtually every non hardened system in the target zone, effectively shutting down most civilian systems and any military systems which were not hardened. Since this is a bit indiscriminate, various nuclear and non nuclear directional EMP devices can be used to essentially send a "spear" of energy at the target, making the damage much more localized and allowing some discrimination and even reuse of infrastructure for your own needs. The final and virtually non stoppable means of attacking a target from orbit would be to use a version of the Casaba Howitzeror a nuclear shaped charge. 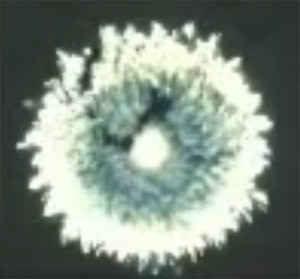 These devices convert the spherical energy release of a nuclear weapon into an intense spear of plasma moving at up to 10% of the speed of light, so no target is going to outrun this thing (even a missile or aircraft in flight isn't going to move an appreciable distance between the time of firing and the time of impact of a plasma spear, and the carrying satellite is already moving at orbital velocity to begin with. The linked page provides some calculations on the potential energy release of such a weapon, essentially it is like being struck by the Ravening Beam of Death (RBoD) laser, but without all the heavy and expensive laser hardware. The downside of any sort of orbital weaponry is it is itself vulnerable to fairly simple countermeasures. Any small missile capable of rising to orbital hight (not necessarily achieving orbital velocity) can carry a bucket of sand, ball bearings or other debris and release it into the orbital path of an identified enemy satellite. The kinetic energy of impact at orbital speeds would tear the carrier satellite apart, and disable or destroy the weapons within. Frankly, since you need a versatile weapons system which can strike at hard and soft targets as well as having some capability for self defense, I would go for a strike system carrying advanced nuclear warheads (directional warheads or Casaba Howitzers). Nuke them from orbit; its the only way to be sure. I suspect that we can dismiss the idea of kinetic bombardment of any kind, including with explosive tips (also known as missiles). The cost of resupply missions would be prohibitive as they would have to climb quite far out of the Earth's gravity well just to be tossed back down, and it seems likely that those resupply missions would be prime targets for any of your enemies. It also has the problem of counteracting the force on the station caused by launching them back toward Earth, although that can be worked around. Better to use ground-to-ground or air-to-ground launches than space-to-ground, then; less headaches, and most likely lower costs overall. Rather, you should be looking at renewables. Because in-situ manufacturing using native raw materials in orbit is... fraught with difficulties, shall we say, this means various forms of directed energy weapons. Even though this strictly doesn't meet your question title criteria of "bombardment", I recommend high-powered lasers or masers in a medium Earth orbit. A high-powered laser would require some way of aiming the beam toward a location of interest, but that's a solvable problem. It would also require huge amounts of energy, but that too is a solvable problem -- solar panels and rechargable batteries should get you started, particularly if you are willing to put a weaponized space station in orbit in the first place. Low Earth orbit simply goes too fast to be practical; one revolution around the world in 90 minutes being the rule of thumb. Medium Earth orbit gives you more time to, pardon the pun, focus on your area of interest, while still being reasonably attainable even for spare parts missions, and gives the choice of an orbital period of anywhere between two and 24 hours. (A geostationary orbit is when you have an orbital period matching the rotation period of the body below you, and a matching inclination; not very useful for these purposes, unless you have a single archnemesis that you are interested in. Above geostationary is High Earth orbit, with orbital periods longer than 24 hours.) It also allows you to target any given area quickly, should the need arise. A few such installations in orbits with different inclinations would allow you to target any part of the world within a predictable, and ultimately selectable, period of time, likely a few hours. Keep in mind that launch costs (and thus cost for access to the stations) go up when the orbital inclination deviates from prograde equatorial because you are basically fighting the Earth's rotation rather than benefiting from it during launch, but if you are doing something like this, you can probably afford to spend the extra money. An orbit with an inclination of 90° is known as a polar orbit because it passes over the polar regions. Wikipedia has a list of other types of geocentric orbits (where "geocentric" refers to the central body being Earth) that you may find useful. the Best thing would probably be Kinetic Bombardment. Simply put it is the use of projectiles (such as tungsten rods) fired form orbit to deliver bomb level explosions using kinetic force. Iv attached a link to the wiki. Amendment: I don't want to seem like im hung up on KB but,(and this may seem far fetched) a Space Plane(https://en.wikipedia.org/wiki/Spaceplane) loaded with the projectiles flying into low orbit, acts as a mini launch platform and then, on completion of tasks flies home again? The cost would be limited to fuel, resupply and repair, that could be done at there take off base. Lasers are not a good idea, light diffracts in our atmosphere, Weather conditions can further worsen the accuracy of the shot. The best idea would be to shoot kinetic ammunition with 3 stages of propulsion, first to gain exit velocity, second to break the atmosphere and third to gain impact velocity. A satellite that contains a huge magnetron that attracts space particles of dust and other debris into a hollow central chamber (several batteries of these) and then periodically compresses the flotsam and jetsam into a projectile and launches it at the target, so, kinetic weapon. 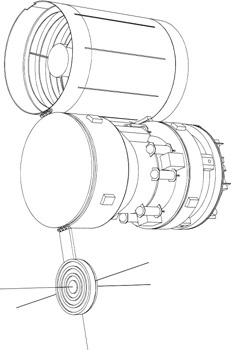 Alternatively a small lander/support vessel can resupply kinetic materials from the moon, launching compressed objects to the satellite which then redirects them to the planet below. A satellite that launches and controls serveral drones that go out to the asteroid belt and pick smallish rock and give them a good push - using targeting computers to account for time/distance/planetary rotation and just bombard from the asteroid belt. Unlimited cheap ammo, small manuevering drones working from the satellite. Only it would take time to cease fire. Just develop a strike package before hand. It would devastate cites and bases, but be kind of usless againts ships/planes/troops in motion. Hope this helps. The ultimate cheapest way to create an orbital weapon is a 5km mirror of metallic sodium, that would be able to direct enough energy from the sun that misses earth in normal circumstances capable of boiling an ocean in a short period of time, and requires no reload, but is very big so it could get shot down easily. The nazis designed it it's called a sun gun. The answers here are excellent takes on the tactical issues surrounding uses of space-based weaponry, but the true power of space-based weapons is probably best realized at the strategic level. If you can achieve a monopoly of space-based weapons, one approach would be to deploy your nuclear deterrent to that platform. You could then use the space-based Armageddon force to rule by terror, and leave the pedestrian and day-to-day application of power against conventional targets to ground-based powers that you terrorize. In other words, in a Blue Mars type scenario where you are attempting to control a planetary population on a planet you don't have to personally inhabit, weapons of mass destruction are all you may need. If you can point those weapons at the ground-based authorities, and deny those authorities access to space except on your terms, then it's their problem to exercise control on the ground. Not the answer you're looking for? Browse other questions tagged science-based warfare weapons near-future space-constructs or ask your own question. Can you shoot someone with a bullet… from orbit? How do you defend against orbital bombardment? How would you designate targets for orbital bombardment? How do I effectively wage war against an aquatic alien species? What is the most effective crude weapon?